Moon Space Personalized Luggage Tote Bag Tag. 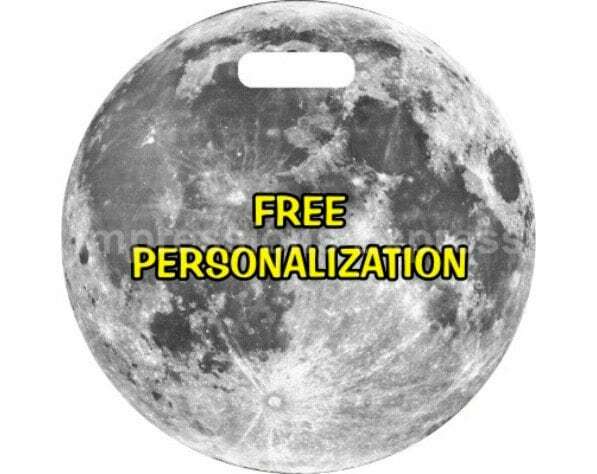 A personalized double sided Moon on a round luggage tote bag tag. Please note that the tag is FLAT (not 3D). The image is a 3D-looking image imprinted onto the tag. The image on this luggage bag tag is a high resolution photo of the Moon as seen from space. "Great personalized gift! Thank you :)"